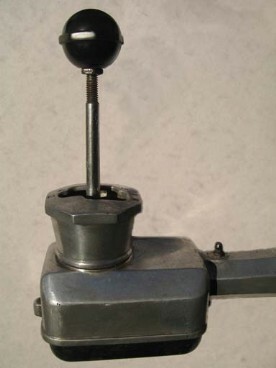 Many enthusiasts may never have seen an example of the early to mid production period J Type gear knob as they tended to go missing, possibly falling off as a result of the well documented gear lever rattle problem only common to the J Type. This is a perfect reproduction of an extremely rare item with the tooling commissioned by us. We understand that these early J2 round gear lever knobs have not been moulded since the 1930's. These are complete with a brass threaded insert and are indistinguishable to the original complete with aged look. Some owners of late J2's choose to fit the black octagonal gear knob as a factory alternative and as fitted to the L Type.